The “”Triple Stitch Cafe Racer Biker Leather Jacket”” is exclusively available now at Xtreme Jackets. A khaki brown jacket that will complement any colored jeans or formal jeans, the Triple Stitch Cafe Racer Biker Leather Jacket is an excellent choice for any occasion. 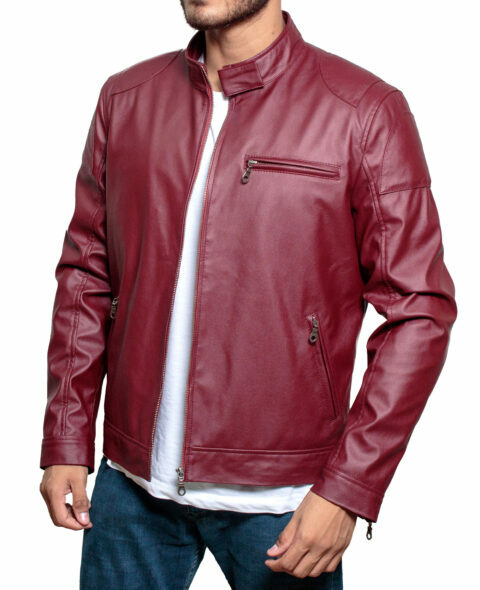 This amazing product is manufactured with premium quality, 100% genuine leather, with a front zip opening, two front zip pockets, and a round neck collar complete with a button. With an inner viscose lining and two inside pockets, this jacket is bound to keep you warm in the chilliest of weathers.